“The Self-Portrait, from Schiele to Beckmann” is an unprecedented exhibition that examines works primarily from Austria and Germany made between 1900 and 1945. This groundbreaking show is unique in its examination and focus on works of this period. Approximately 70 self-portraits by more than 30 artists—both well-known figures and others who deserve greater recognition—will be united in the presentation, which is comprised of loans from public and private collections worldwide. Admired for their revelatory nature, self-portraits yield insight into both the appearance and the essence of the artist, in some cases providing almost confessional portrayals, sharing profound insights regarding their self-image as a maker, and their perceived relationship to society. On a more universal level, they can also expose deeper truths about the human condition. During the first four decades of the twentieth century, the self-portrait, a genre that has transcended the ages, reached new heights in Germany and Austria. Among artists in the Neue Galerie collection, the types of self-portraiture vary widely. Egon Schiele, gazing into a large studio mirror, created an unprecedented number of raw, even shocking self-portraits composed only of his face and body. He stripped away layers of social conventions to expose thoughts and feelings beneath the surface of his skin. 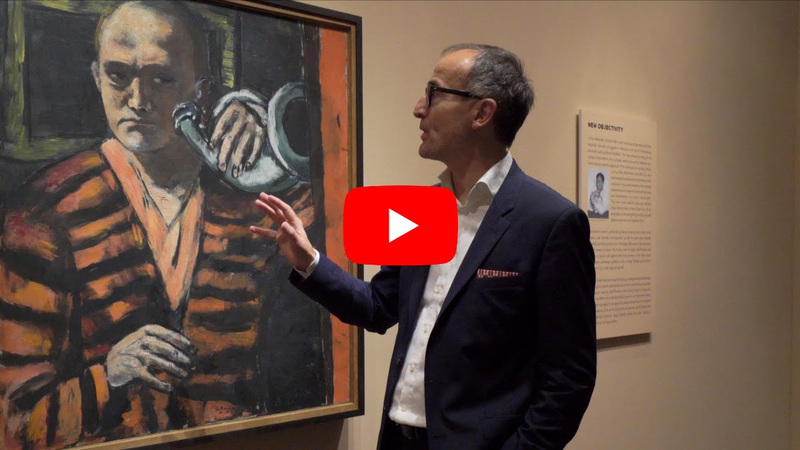 Max Beckmann found his stride using an open, brushy style with heavy black outlines, and created some of the greatest self-portraits of the twentieth century; they possess an expressive power that reaches back to the Old Masters. Felix Nussbaum—employing the more realistic style of the Neue Sachlichkeit—reflected the misery of and threat to his life as a persecuted Jew, as well as his personal resolve to record his circumstances faithfully. Some of the most outstanding self-portraits in this exhibition are by women, including Paula Modersohn-Becker, who painted a number of bold, groundbreaking self-portraits, some of which highlighted her pregnancy; and Käthe Kollwitz, who cast an unsparing eye on her own world-weary visage. The best of these works always engage the viewer in a complex and meaningful way.